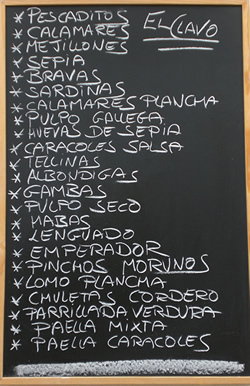 Where can you get good tapas in Javea? It’s a question I am asked a lot and the answer is that there are many good places - and here is one of them. 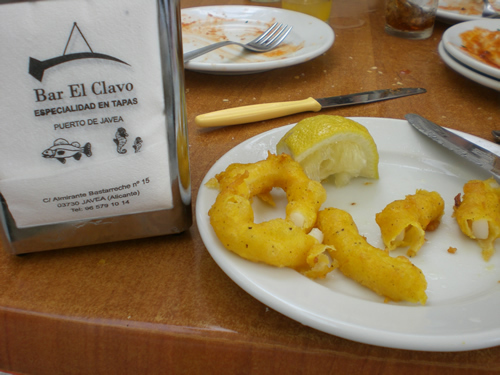 Down at the Port facing the sea is El Clavo. On the right you can see the menu and I guess it accounts for most of what they offer. Alternatively, if you are on a night out I can highly recommend the new eaterie on the Arenal - Es Tapa Ti - see a review of it here. So you have your typical seafood tapas - prawns, squid, octopus, small sardines. You have your meaty tapas - meatballs, lomo, mini-ribs, a bit of chicken sometimes. And your ‘typical’ tapas like paella, patatas bravas, and of course snails. The quality? Very good. The price? Well, it’s not cheap but it is good value. The price for each tapa varies but they have a good clear menu and each tapa’s cost is clearly displayed. 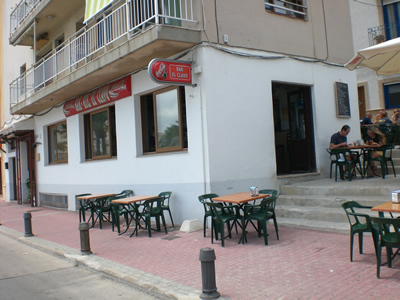 My recommendation is - this is one tapa bar that gives excellent food and good service. It’s right on the seafront overlooking La Grava beach, has quite a few tables outside with parasols and I have spent several very pleasant interludes here. Give it a go. 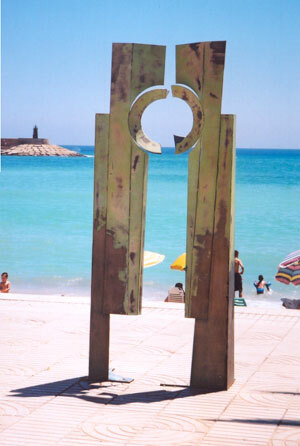 To get to El Clavo drive fown and into Javea Port, past Polly’s Bookshop on your left, carry on past the Javea Tourist Information office on your right, park where you can, and you should see it on your left, effectively underneath the ‘new’ church. While you are here, head up the steps past El Clavo, take a left and you will see some souvenir shops and a nice sailing outfitters shop - lots of cool clothes if you sail, and they look cool if you don’t also.